Beauty Bay Sale is now on with up to 50% off everything! Your year just started perfectly! 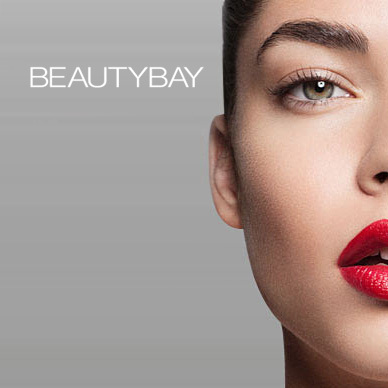 Beauty Bay is the place to go for all your favourite beauty brands. Stocking over 8,000 products online including skin care and make up from luxury brands such as Too Faced, Eyeko, OP, St Tropez and Cover FX; why would you go anywhere else? The brands at Beauty Bay are the best that beauty has to offer. The website offers the latest beauty news, tips and recommendations for those who love to primp and preen. A trip to Beauty Bay will have you looking and smelling your best for your next big night out; all you have to do next is find that perfect outfit! Add Beauty Bay to your Favourites list and be the first to know every time they have a Sale on! 1st January 2018 - Beauty Bay New Years Day sales for 2018. 7th May 2018 - Beauty Bay Early May Bank Holiday sales for 2018, add to your diary now! July 2018 - Beauty Bay Summer 2018 sales, joining us? 23rd November 2018 - Beauty Bay Black Friday sales in 2018 start on Friday 24th November. Add products from Beauty Bay to your Love Sales list. Get the Love Sales button now! Beauty Bay January Sale is now on with up to 50% off everything! Your year just started perfectly! Beauty Bay Cyber Monday Event s now on. Save up to 40% of your beauty faves! Beauty Bay Black Friday Event is now on. Save up to 40% of your beauty faves! Dip your toe into our pool of super cool savings. Home of the real heatwave, we have some of the hottest products in beauty at the best prices. Beauty Bay March 30% off Sale is now on across all storybook cosmetics! Enjoy savings today!